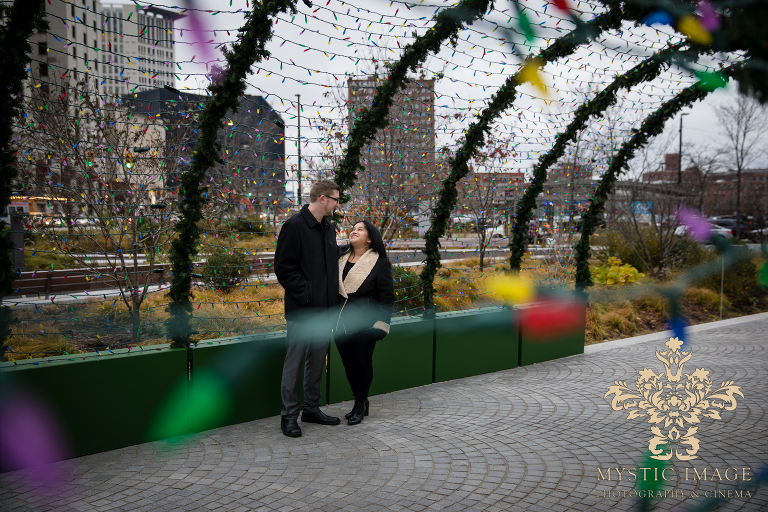 After meeting with Anna and Cliff at our initial meeting, we just knew that these two were going to be a blast on their engagement session. They are both so easy-going and open to spontaneous ideas. They are just the kind of couple that we absolutely LOVE working with. 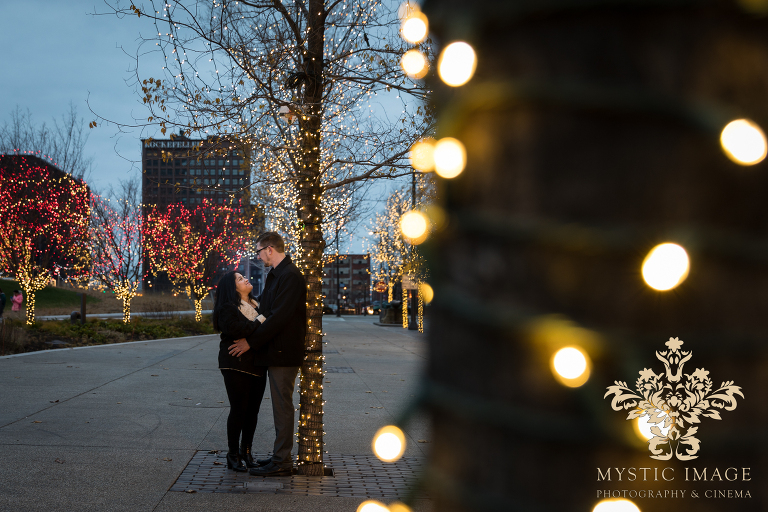 We decided that we would shoot their engagement session downtown since Public Square was completely decorated for Christmas. Yes, it was very cold, but these two were absolute troopers. Neither Anna nor Cliff mentioned how cold they were the entire time we were together! 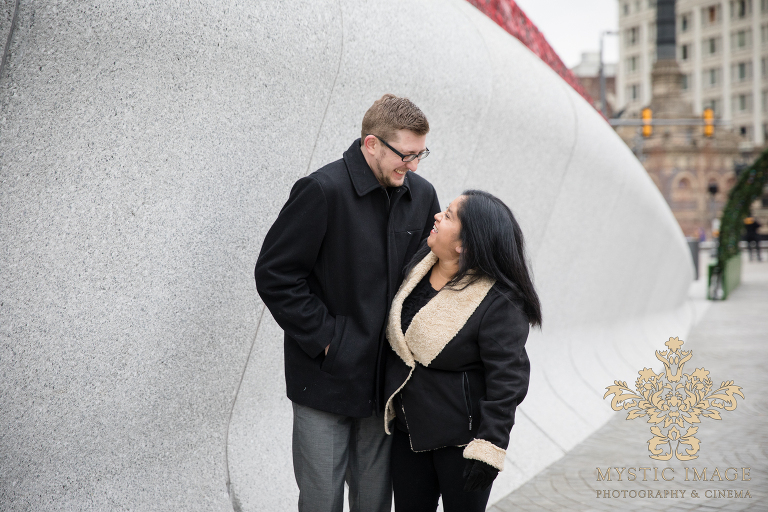 They braved through the freezing temperatures and the countless protesting groups, laughing and having a great time throughout their entire session. Because of their super positive attitudes and the adorable bond that they have with one another, they made it so easy for us to get some amazing photos of the two of them. Anna and Cliff, we are so looking forward to working with you on your special day. 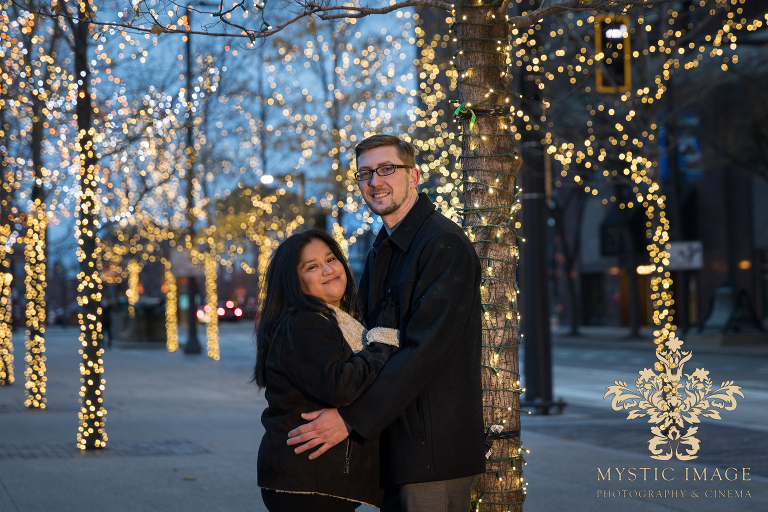 Your wonderful personalities are such a blessing and we cannot wait to capture your amazing wedding day for you!